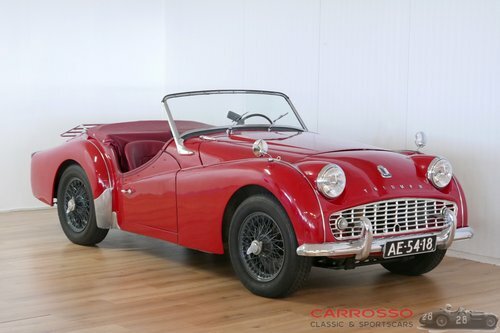 This beautiful Triumph TR3a with overdrive is in a nice used condition! 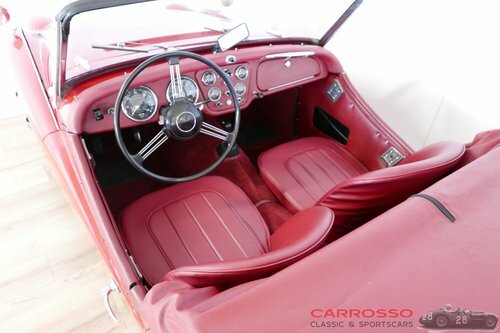 The red leather interior has been renewed and in perfect condition, the exterior has suffered some minor wear and tear over the years which ensures the right patina! The body is hard and rust-free. 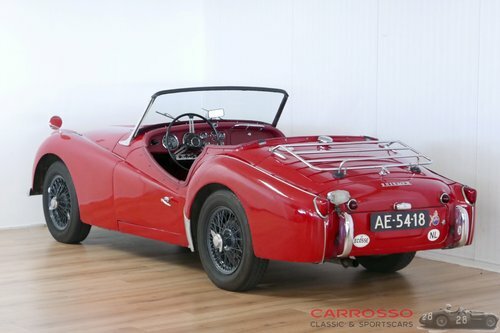 As extra options, this TR3 has a very sought after overdrive, chrome luggage rack, heater, spoke wheels, Kenlowe fan, tonneaucover and side windows. 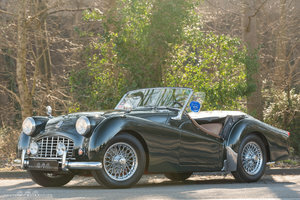 The last owner has imported the TR3A 20 years ago from Florida to the Netherlands and always well maintained. Several technical improvements have been made to drive rallies, such as the installation of an extra capacity radiator, high torque starter motor, alternator, '' thin belt '' v-belt conversion, stabilization rod front suspension / crankcase protection, Koni telescopic shock absorbers, stainless steel exhaust system, electric fuel pump, reversing lamp etc. 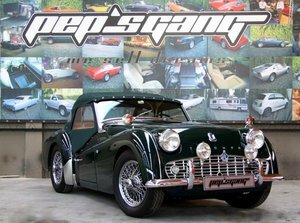 Also many parts have been renewed, such as the H4 tripod headlights, wiring harness, shock absorbers, coil springs & leaf springs. 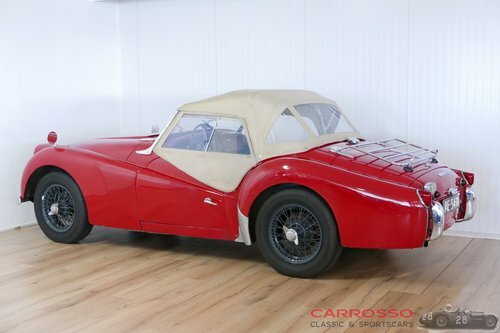 The high quality canvas soft top and tonneaucover are also renewed, these are in new condition. 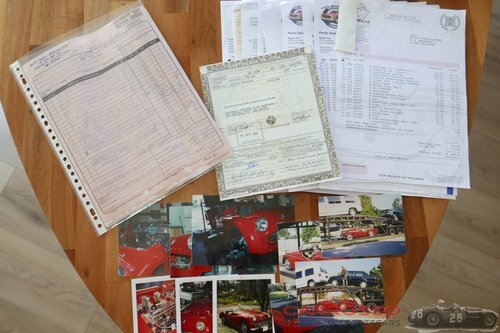 The engine, carburetors, rear axle + differential, wheel suspension, gearbox and overdrive have been overhauled. 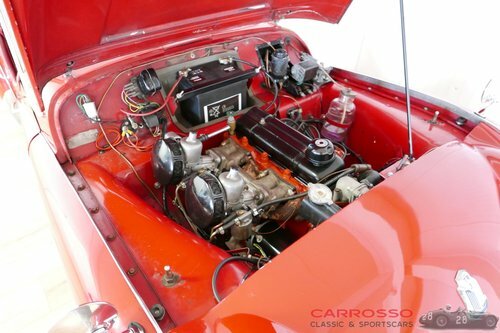 The 2.2 liter engine is suitable for unleaded petrol and equipped with fast road cam. 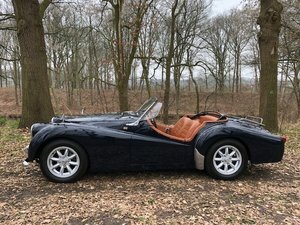 With new Dutch MOT until 10-04-2020. 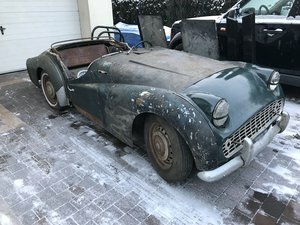 This TR3A is very suitable for driving (international) rides & rallies!